David A. Crafts of Stone Harbor, NJ. David Crafts left his beloved family to join many loved ones above. 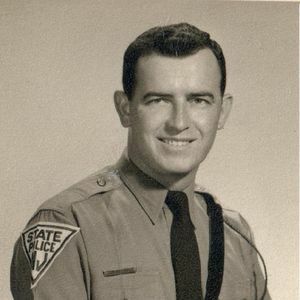 His journey took him on worldwide experiences as a US Marine, to every corner of the state as a New Jersey State Trooper, and into the hearts of so many along the way. David was a quiet man who could fix anything, build anything, create beauty from objects others would discard. He had a great eye for antiques, was a talented gold leaf gilder, and had impeccable taste. He was also known for his propensity for speed on land and sea. Dave, drove fast on motorcycles, in cars, boats, and lately, on his bicycle. Above all, David was always there for his family and loved ones. His children, Alicia Eger (Greg), Dave A. Crafts Jr. (Jane), and David Cox (Kristine) could always count on their Dad to be there if they needed him. His wife, Nancy, always knew that he was the wind beneath her wings. With his help she could do anything and he could make it happen for all of us. Besides David's wife and children, he is survived by his brothers, Peter Crafts and Ted Bankert, his grandchildren Alexa Eger, Justin Eger, Skylar Crafts, Austin Crafts, Cate Cox, Drew Cox, and Kessler Cox. David is predeceased by his mother, Alice Lynch, and brother, Neal Crafts. For the past 10 years, struggles with Alzheimer's disease stripped many of his abilities, yet his love for his family and caregivers shined through his eyes. Semper Fi to the end! A memorial service will be held on Saturday, January 19, 2019 at 1:00pm at St. Mary's Episcopal Church, 9425 Third Avenue, Stone Harbor, NJ 08247. There will be visitation with the family just prior to the service from 12:00-12:45pm in the St. Mary's Parish Hall. In lieu of flowers, please support the Alzheimer's Association in the memory of David Crafts: http://act.alz.org/goto/DavidCrafts or mail to: National Process Center, Alzheimer's Association, PO Box 96011, Washington DC, 20090-6011. I was saddened to read of David's passing. During my 37 years with Dr.Piper I knew him to be a kind and gentle soul. My sympathies to you and your family. Dearest Crafts family and friends. So very to hear about your loss. As you remember your love one, as God heals your broken hearts (psalm 147:3), may your treasured memories continue to bring you peace, comfort and strength to endure.